Cinema has had a rather ambivalent attitude towards rabbits. For every Thumper or Roger Rabbit, there’s at least five manifestations of the creepy little buggers capable of freaking an audience out. 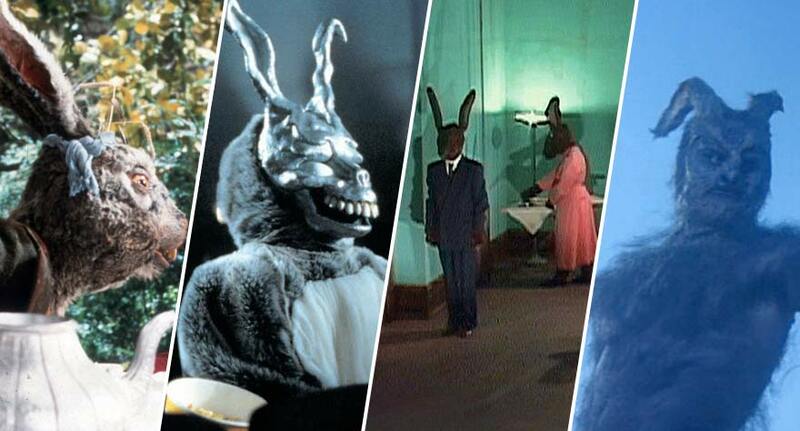 In celebration of the Easter Holidays, here’s a list of the scariest, most intimidating and blood-thirsty rabbits in movie history. Giant creatures running amok is a common staple of sci-fi horror, and it tends to work best when the monster is something that people already find disgusting or terrifying. 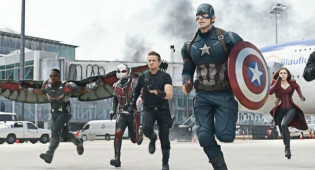 Creepy-crawlies are especially effective in these types of movies. Making something bigger doesn’t necessarily make it scarier, and if the subject is relatively benign in the first place, the effect is comical—see Tomatoes, the Stay Puft Marshmallow Man, or Daryl Hannah. 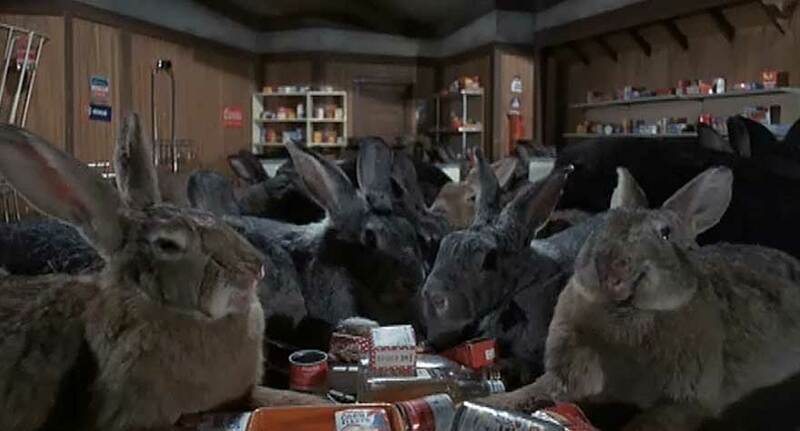 Rabbits fall into the latter category, and Janet “I was in Psycho once” Leigh and DeForest “Spock’s Mate” Kelley face off against genetically modified, flesh-gnawing bunnies in this notorious sci-fi stinker. The makers unwisely chose to ignore the humour present in Russell Braddon’s source novel, The Night of the Angry Rabbit, playing it deliriously straight-faced. As later films in this list will show, rabbits really can be scary. However, opening the hutch and filming a bunch of nibbly cottontails hopping around a miniature town set with ketchup on their fur just doesn’t cut it. A must see for connoisseurs of bad movies. A few years after the Night of the Lepus debacle, the Monty Python boys got it right with their killer rabbit, a fluffy white bunny capable of taking out an entire phalanx of errant knights. The ’80s was a golden period of creativity for Jim Henson’s Creature Shop, providing memorably grotesque characters in fantasy classics like The Dark Crystal and Labyrinth. They also provided the sinister muppets for Dreamchild, a sensitive and little-seen tale of the elderly Alice Liddell, the inspiration for Lewis Carroll’s Alice in Wonderland. She’s off to America to pick up an honorary degree on the centenary of Carroll’s birth, and as her journey progresses, she hallucinates about the iconic characters that have haunted her whole life. Alice has been adapted dozens of times, but few films capture the essence of John Tenniel’s indelible illustrations as well as Dreamchild. The denizens of Wonderland are a forlorn menagerie, castaways on a literary desert island from far-flung shores as diverse as nursery rhymes (Humpty Dumpty) and heraldry (The Gryphon). 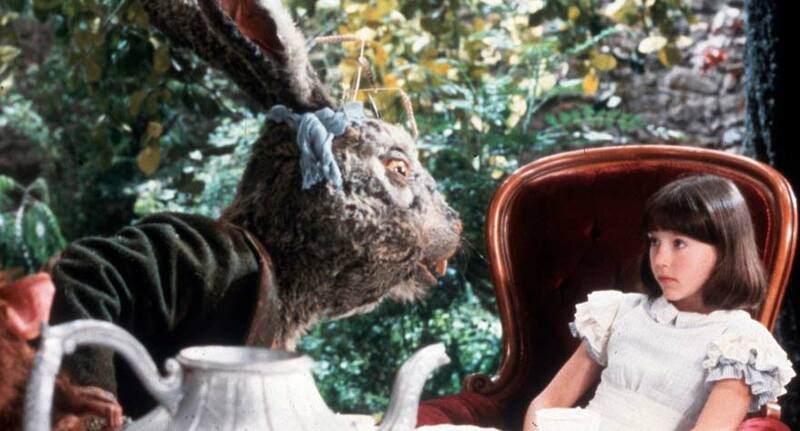 The film’s most memorable scene is the Mad Hatter’s tea party, featuring a mangy, insane rendition of the March Hare. Kids should stick to Disney. David Lynch explores his love of ’50s kitsch in this deeply bizarre “sitcom”, featuring three anthropomorphised rabbits on a shadowy, single set. Their activities are accompanied by an incongruous tinned laugh track, as the characters flatly delivering their lines completely out of order. 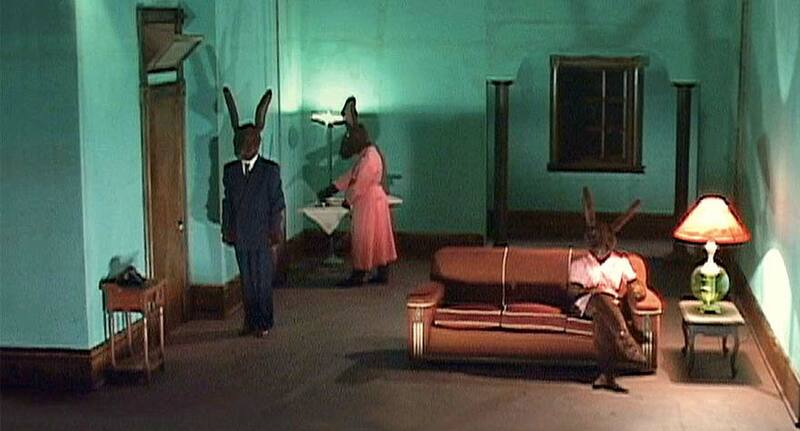 The most disturbing aspect of this avant garde headfuck is the otherworldly stillness of the rabbits—while many strange things occur, nothing quite matches the stifling horror of the opening scene. 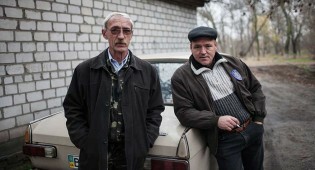 One rabbit silently irons clothes while another sits motionless on the sofa, looking out at the audience. Brown trousers time, for no quantifiable reason. Jonathan Glazer’s quirky, sun-drenched gangster flick is memorable for many reasons, not least Sir Ben Kingsley’s demented turn as potty-mouthed nutjob Don Logan (he drops the C-bomb 21 times in the movie, but it feels more like 200). 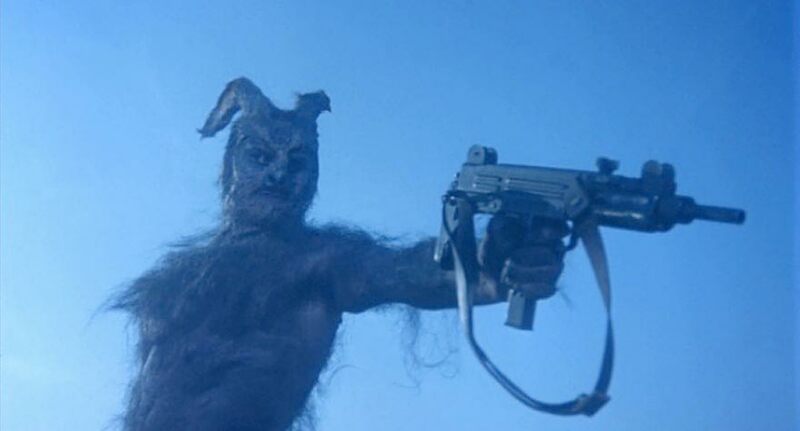 It’s disturbing enough seeing retired bank robber Gal (Ray Winstone) in a pair of budgie-smugglers, yet even that pales in comparison to the hellish Rabbit Man that stalks his nightmares. With a bearing of infinite malice, the creature rides into frame on a donkey, wielding an uzi. 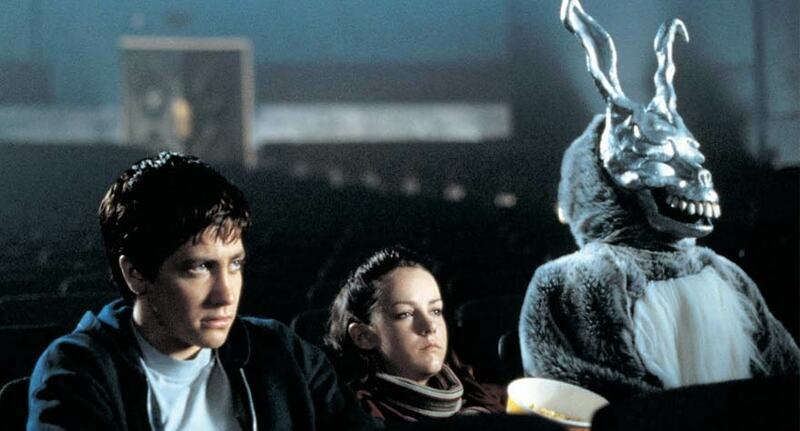 There are few more unsettling images in 21st century cinema than Frank, Donnie Darko’s mysterious guide in Richard Kelly’s time-addled mindbender. It’s just a guy in a mask, but there’s something about the mask and his silent demeanour that chills you to the bone. Could it be the twisted ears, the vacant eyes, or the ghoulishly grinning buck teeth? Or all of the above? The Frank mask feels so unnaturally perverse that he unnerves you every moment that he’s on the screen. 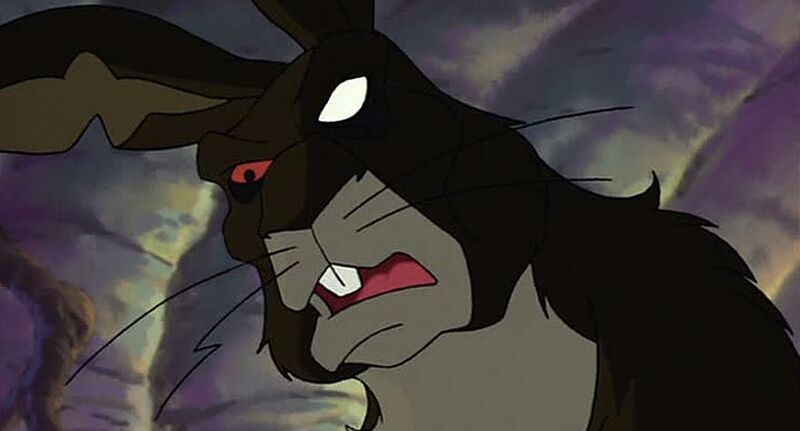 One of the most traumatic experiences growing up in ’80s Britain was exposure to Watership Down. 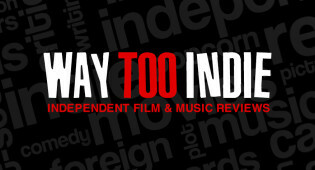 It was perhaps the most mis-certified films of all time, declared “suitable for all ages” by the usually stringent BBFC. This resulted in a whole generation scarred for life by scenes of a rabbit warren ploughed over in rivers of blood, rabbits choking to death in snares, rabbits ripped to shreds by vicious dogs, and one of cinema’s greatest bogeymen—or bogeyrabbits—General Woundwort. The graphic violence stands in stark counterpoint to the idyllic watercolour backdrops and Art Garfunkel on the soundtrack. Woundwort is a wonderful screen villain, the despotic leader of the shadowy Efrafra warren, pursuing the heroes across the gently rolling landscape in their search for a safe haven. With his milky blind eye and growling countenance, he’s a curious mix of Churchill’s indefatigable bluster and Hitler’s insidious dogmatism. 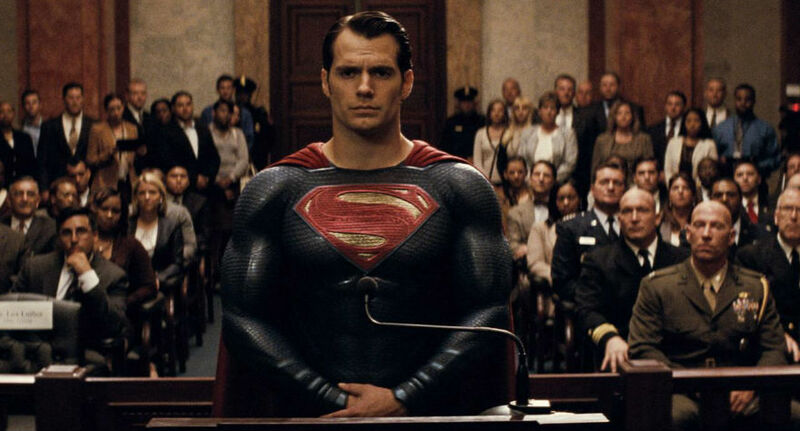 When he launches into his final showdown with a ferocious farm dog, we believe that he stands at least half a chance.